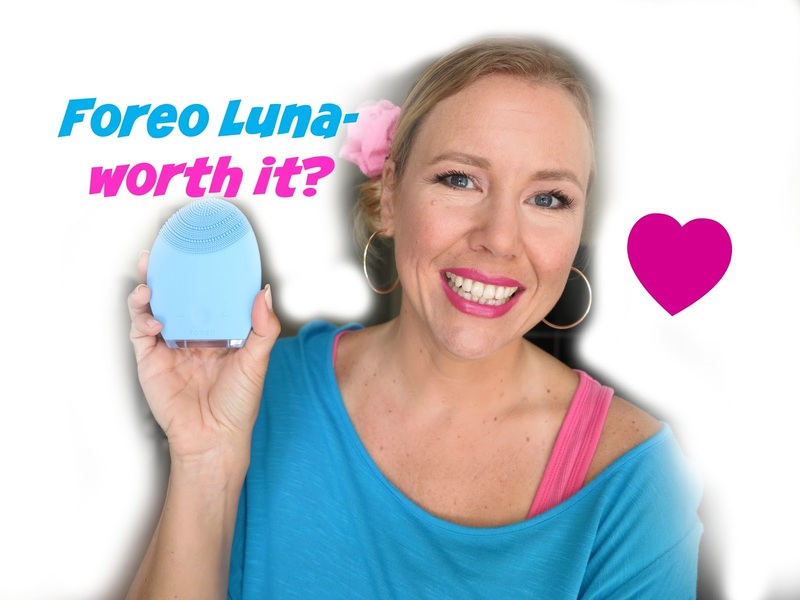 FOREO LUNA- worth the hype? 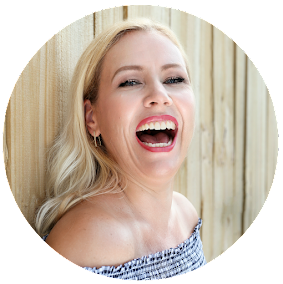 Today I want to share my thoughts on the Foreo Luna with you. I have the blue Luna which is for combination skin, but it comes also in pink (for normal to sensitive skin) or in white (for ultra sensitive skin). The difference between them is the shape of the little silicone bristles. And have you seen the new one with 18 K Gold for $6500? Wow! You might have seen my post where I shamelessly compare the Foreo Luna with a Facial pad for $6. Well, back then I have not even tried the Foreo Luna lol. Of course they are not really comparable because the Foreo Luna includes fancy T-Sonic pulsations (8 different speeds)! Enjoy an instantly fresher, brighter complexion with the LUNA™ range of skincare solutions. Integrating the breakthrough combination of T-Sonic™ technology with a unique silicone brush, the LUNA™ range introduces a new approach to skincare that brings tangible, lasting results. An innovative skincare device that delivers deep-cleansing via T-Sonic™ technology and anti-aging through lower-frequency pulsations. Available in 3 models tailored to cater to specific skin types. How do you use it? Well, first you cleanse your face like you usually do- this device is not meant to get rid of your makeup. As a second step you apply your favorite cleanser on your damp face and then deep cleanse your face with the Foreo Luna. This surely helps to get rid of any residue that is left on your skin. And if feels wonderful! Very massaging and my skin feels super soft and very clean after using this. On the back side of the Foreo Luna you will find the Anti Aging surface. After you deep cleansed your face, you can use this side to help massage those wrinkles (and hopefully diminish the look of them). 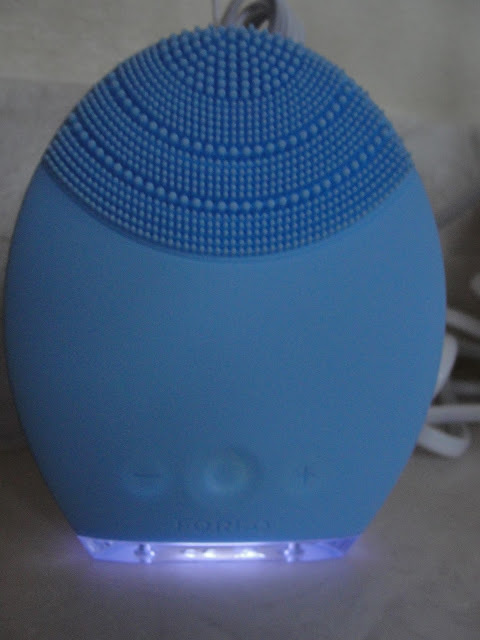 The Foreo Luna is super hygienic! The silicone bristles will not contaminate your skin- bacteria won´t grow in it because it dries completely. Also: no need to buy expensive brush heads (like with the Clarisonic). This device in fact will last 10 years! The bottom lights up while charging! It barely needs to be charged! 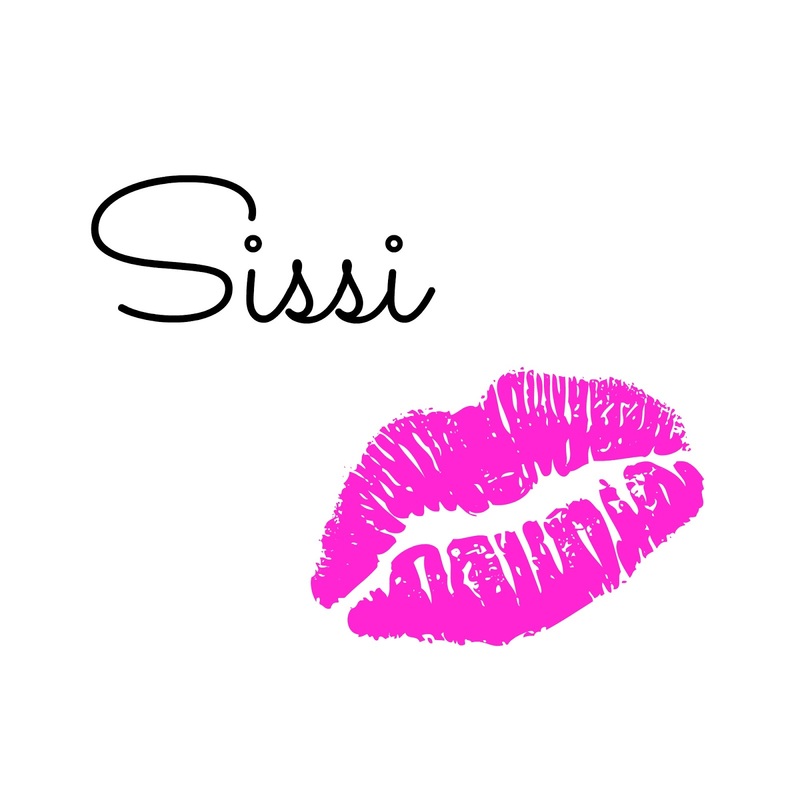 I charged mine once and am using it every night since 3 weeks- I never needed to recharge! This way you do not have ugly cables laying around. I personally do not have sensitive skin and while I enjoy using this device I do not think (especially because of the hefty price tag) that it is a must have skin care tool. And I have to admit: The Anti Aging surface on the back side of the Foreo Luna really did not do anything for me. I didn´t feel or see a difference (but then again: I am only using it since 3 weeks!). BUT: the Foreo Luna is probably a break through skin care tool for people with sensitive, ultra sensitive or acne prone skin! A lot of people get breakouts from using a Clarisonic device because it is just too abrasive and harsh on their skin. 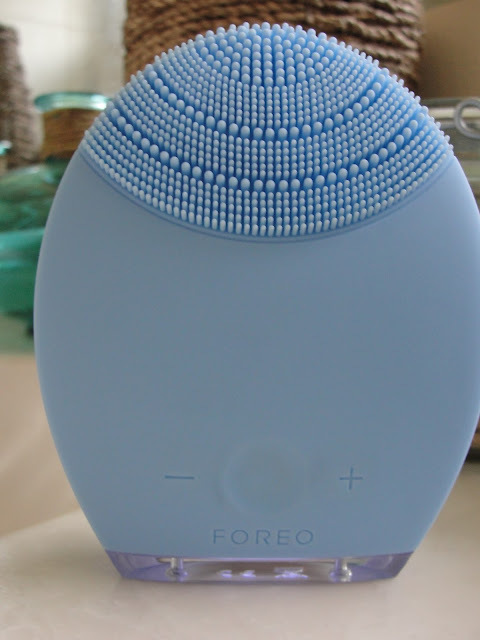 If you have sensitive or acne prone skin and the Clarisonic was just not right for you, I bet you will love the Foreo Luna! Get it on foreo.com or at Sephora, or on Amazon. Have you tried the Foreo Luna? Your thoughts?